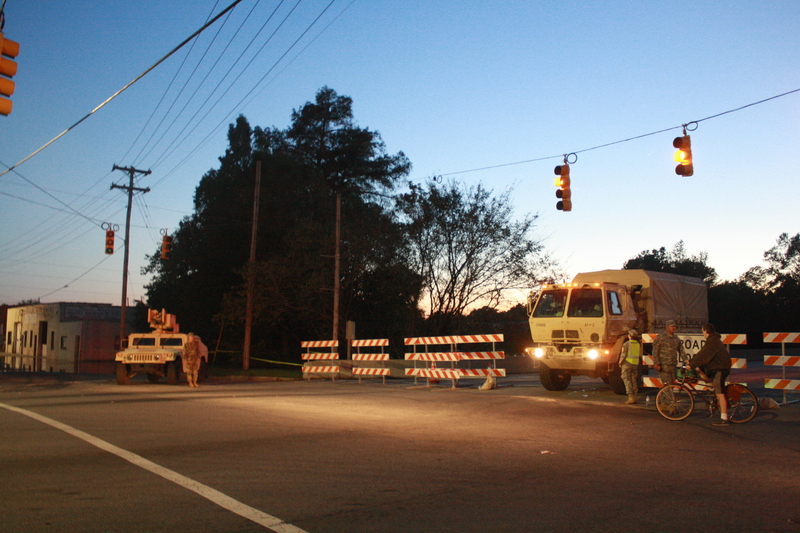 With most storm prep finished Thursday, Friday was a day of waiting and worrying for residents and business owners from Herritage Street downtown to Cedar Lane in East Kinston. 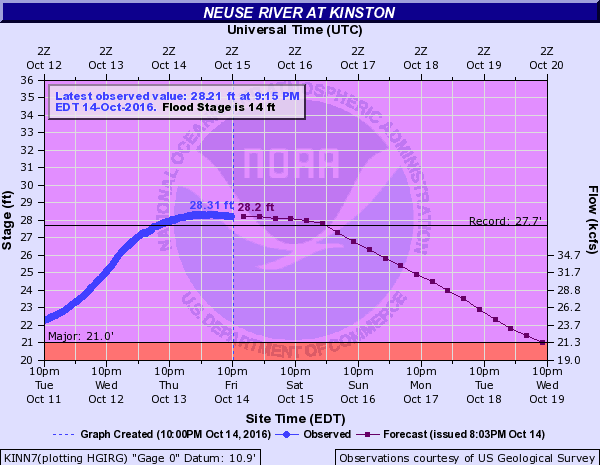 The Neuse River ended its record-setting climb late Friday night, finally topping out at 28.31 feet and shattering the high water mark set in 1999 during a hurricane season that saw the region soaked by two tropical storms, Dennis and Floyd, within three weeks. 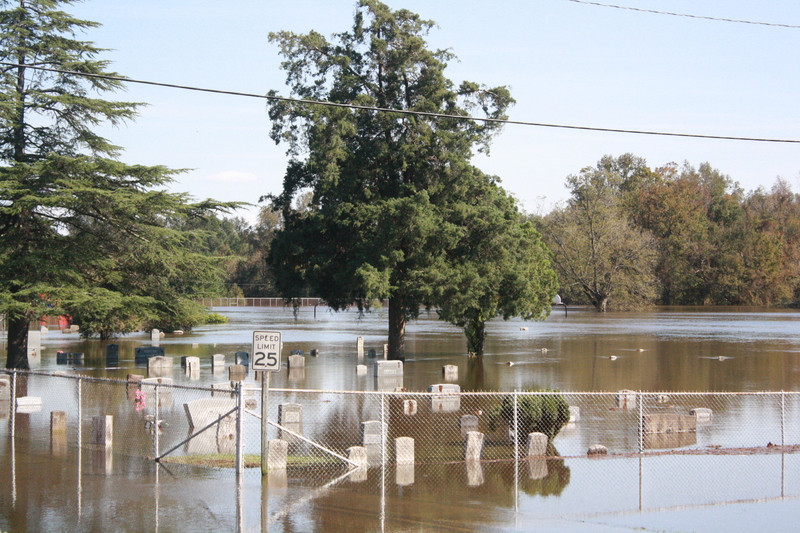 The subsequent flood pushed the Neuse to 27.7 feet — what they called a hundred-year flood; until 17 years later. Floyd flooded entire neighborhoods in Lincoln City, a historically black borough to the south and east of the city center founded in the 1910s in then-segregated Kinston. Some headstones are barely visible in Cedar Grove Cemetery south of Lincoln Street on Oct. 14, 2016. FEMA bought out a large portion of the area razed most of the affected homes during the yearslong post-Floyd clean-up. Officials said the lack of those structures in the water’s path made it difficult to predict where water would end up this week, especially since estimates consistently pointed to flooding worse than 1999. One resident on West South Street was watching the water rise toward his home from the west, part of the streaming water south of King Street that’s spilled across the Kinston Music Park and African-American Music Trailhead on Springhill Street. He said he was evacuating before dark. Across town, floodwaters reached homes untouched by Floyd along Cedar Lane behind Bynum Elementary School. Nearby, Wingate Townhouse Apartments evacuated all 82 of its units earlier in the week ahead of the floodwaters. Alice Jarman evacuated to Virginia Wednesday, leaving behind her apartment and her husband’s truck, which was underwater up to its wheel well Thursday at 6 p.m. The water hadn’t quite reached the doors of every unit, but many nearest the river appeared to already have taken in water. The news of the water levels plateauing was shared loudly back on Herritage Street, where concerned residents came to see and hear for themselves whether the waters were finally receding. 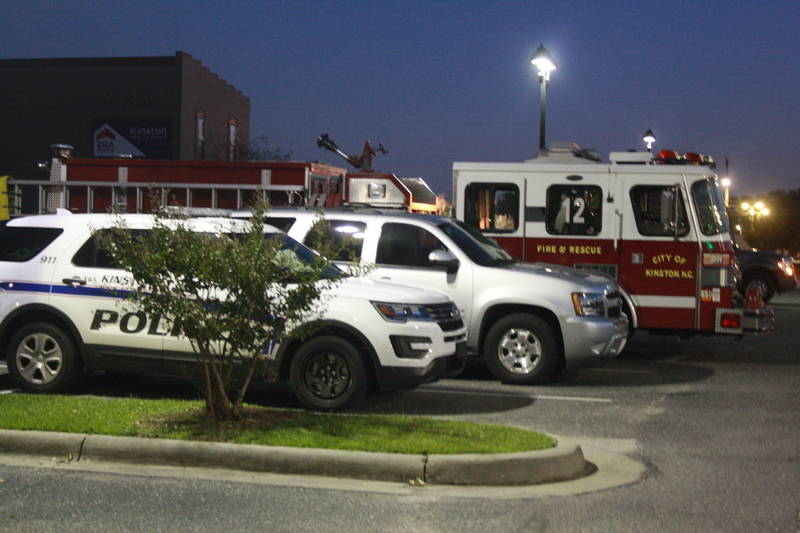 When Kinston Police officers told a bystander they had not heard official word on the river’s crest, one man farther down the flooded street shouted that the levels weren’t rising as fast as before and had stagnated at about 28.3 feet. “It’s been holding steady,” he yelled excitedly. So has this city; and Friday night its residents finally breathed a sigh of relief. → I never meant to hate Cam Newton.